It wasn’t just the Navy officers who were happy to see the WAVES. The enlisted men were as well. 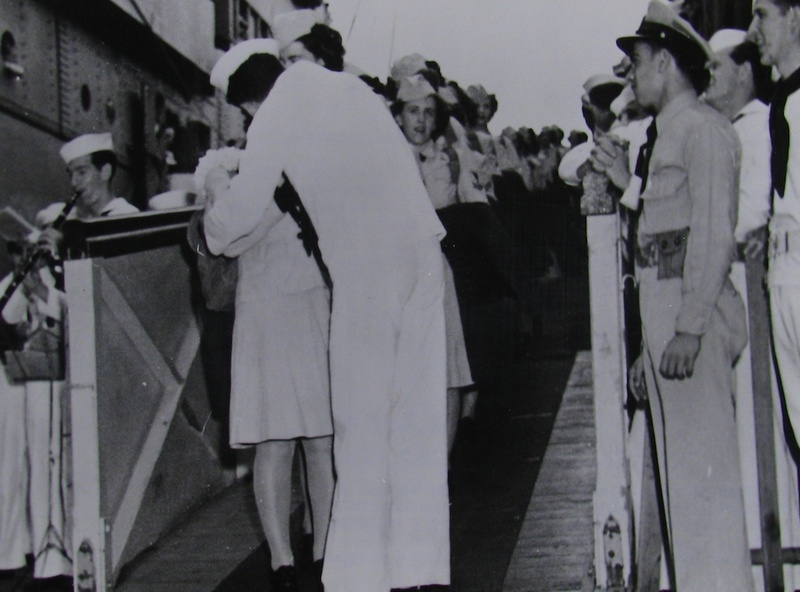 This photograph shows the first enlisted WAVE to arrive in Hawaii, Mary Babine, being presented with the traditional lei and a welcoming kiss by sailor E.R. Baker.